by: Thomas WatsonIssues: January / February 2015. Tags: Branding, International Business, Strategy, and Target. Categories: IBJ Insights. Target obviously doesn’t have much to brag about these days. 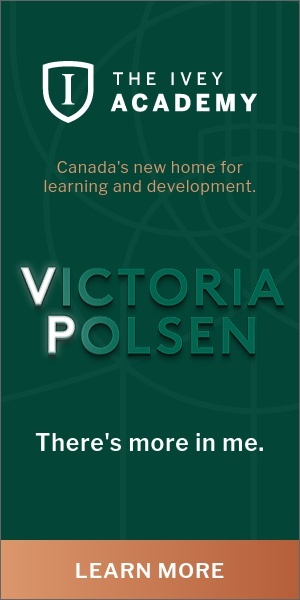 But believe it or not, promotional material on the company’s Canadian website was still proudly boasting about the company’s history at the end of January 2015. “Browse our interactive timeline to learn how we’ve become the preferred shopping destination for our guests,” the site read, adding: “From our department store roots in the early 1900s to the opening of the first Target store in 1962 and on into the present in Canada, you’ll learn about all of our key company milestones.” The attached timeline, of course, was seriously out of date. It went into great detail about the Minneapolis-based retailer’s early days and its 2011 decision to launch an international expansion starting with Canada. But it failed to note the company’s more recent decision to retreat back across the border. Under mounting pressure from red ink, Target announced in mid-January that its Canadian operation would seek bankruptcy protection and abandon all of the retail locations in this country that it had acquired from the Zellers discount chain less than two years ago for $1.8 billion, a move that would eliminate 17,000 jobs. How did this happen? The short answer is that the Target Canada rollout was royally botched. The longer answer is more complicated. 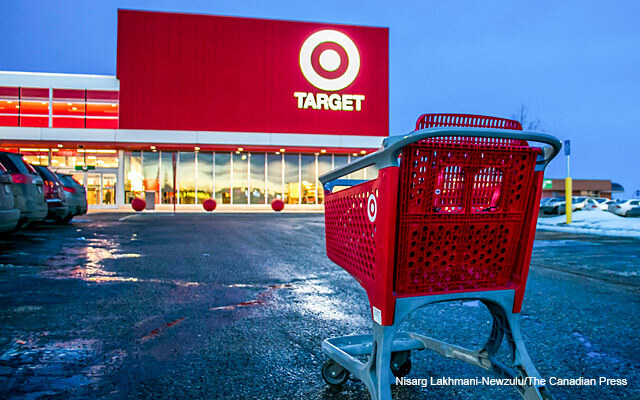 As soon as Target Canada opened its doors, inventory control issues cooled the excitement of many Canadian consumers familiar with the brand. Instead of great selection, customers were greeted by empty shelves. Pricing was also an issue, especially amongst experienced cross-border shoppers who didn’t find the same kind of deals that Target offers south of the border. Executive heads rolled in Canada and the United States, where a massive security breach involving millions of customer credit cards compounded the company’s woes last year. Target issued an apology to Canadians along with a promise to do better. But the red ink didn’t stop flowing. “We were unable to find a realistic scenario that got Target Canada to profitability until at least 2021,” new CEO Brian Cornell announced in January, adding that local losses were just too great for the company to stick around. As a result, Target Canada quickly went from being seen as the exciting new retailer on the Canadian block to a business school case study on how not to enter foreign markets. The big-picture question, of course, is how did such a successful retailer make so many mistakes? And the answer to that question is that management strayed from the company’s founding principles when planning the expansion. And that led Target to enter Canada with mutated brand DNA. The company now known as Target was founded in the early 1900s by a New Yorker named George Draper Dayton, who decided to enter retailing after several years working in banking and real estate. After carefully conducting market research, he formed the Dayton Dry Goods Company and bought land that fit his needs in Minneapolis, which his research suggested would offer the strongest growth opportunities. Dayton is active in management until 1938, when the leadership torch passes to his son George N. Dayton, who improves the company reputation in 1946 by establishing the annual practice of giving five per cent of pre-tax profits back to the community. In 1950s, management falls into the hands of the next generation, who initially focus on slowly growing the business around Minneapolis. Seen as a risky move by outsiders, the company once again takes it slow, carefully planning to differentiate itself from other retail stores “by combining many of the best department store features — fashion, quality and service — with the low prices of a discounter.” On May 9, 1961, the Minneapolis Tribune spreads word that The Dayton Company plans to form a new discount chain store that will “combine the best of the fashion world with the best of the discount world, a quality store with quality merchandise at discount prices, and a discount supermarket.” At the time, management is busy making sure the new business will be “fun, delightful and welcoming” with wide aisles, easy-to-shop displays, fast checkouts and plenty of convenient parking. The Target name and logo are also carefully selected to send a message. “As a marksman’s goal is to hit the center bulls-eye, the new store would do much the same in terms of retail goods, services, commitment to the community, price, value and overall experience,” notes the company history. In 1962, the new venture launches with the opening of a handful of stores, starting in Roseville, Minnesota. The first store outside of Minnesota is not introduced until 1966. Think about the history of Target. When entering the retail game, Dayton took things slow, taking time to do research and select locations that fit his business plan. His inventory management was industry-leading. The transformation of the company into a discount chain was also carefully planned and well executed. No stone was left unturned to ensure the company lived up to its billing. Now think about the Canadian expansion, which was so poorly planned and executed that you have to wonder if the people in charge have ever even read the company’s history. Keep in mind that Canadian consumers were pushed away because Target failed to hit the expectation mark that the retailer actually set for itself with its expect-more-pay-less brand promise. “Our mission is to make Target your preferred shopping destination in all channels by delivering outstanding value, continuous innovation and exceptional shopping experiences.” That never happened because the company seized the opportunity to buy a massive amount of empty Zellers space. That might have made sense on paper, but Target lost the ability to take things slow while compromising the ability to get locations right. As a result, management gave up control over the Target experience that had won the company so much goodwill in Canada. Inventory issues can happen to the best businesses, especially when entering a new large country like Canada, so we can cut Target some slack on that front. But as dumb as it sounds, Target was attracted to Canada because many Canadians knew what kind of experience it offered in the States, and then it didn’t even really try to deliver the same experience. Indeed, when the company took over old Zellers locations, it inherited a high-cost store structure and outdated floor plans. This was how the company consciously decided to take on competitors (such as Walmart, Home Depot and Canadian Tire) with state-of-the-art in-store logistics thanks to sleek, ultra-efficient big-box locations that require fewer employees on the floor. Target’s pricing problems were also preventable. Every marksman on the planet knows you have to at least try if you want to hit the bulls-eye. And if Target really wanted to be seen as the Canadian retailer with the best prices, then it should have spent the time necessary to understand what that meant to Canadians consumers, who, rightly or wrongly, hate when sticker prices are higher in Canada than in the States. When all is said and done, Canadians were told to expect to feel special, like a guest. In Target’s own words, that was supposed to mean being offered “more of everything: more design, more selection, and more exclusives you won’t find anywhere else. And it means you’ll pay less for what you want. It’s as simple as that.” But the company checked its focus on delivering on these promises at the border, choosing instead to offer proud Canadians a mutated version of the Target experience south of the border. And that made consumers in this country feel less worthy. Simply put, Canadians were expecting to be swept off their feet by the reliable company that George Draper Dayton founded. And we reacted badly when a basket-case subsidiary showed up instead.